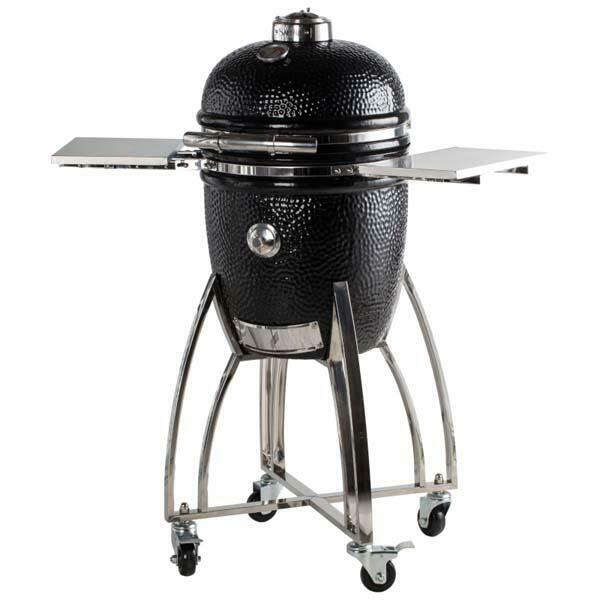 Saffire Medium 15" Platinum Grill With Cart by Saffire Grill Co. 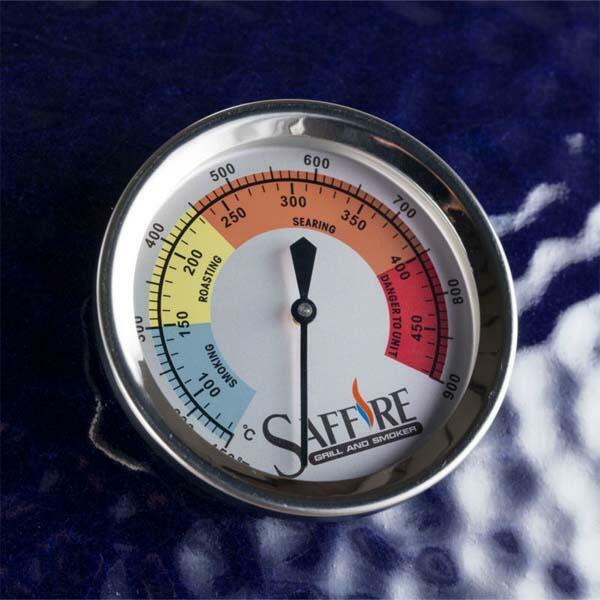 Whether you are grilling, smoking, or even baking; nothing can compete with a Saffire! 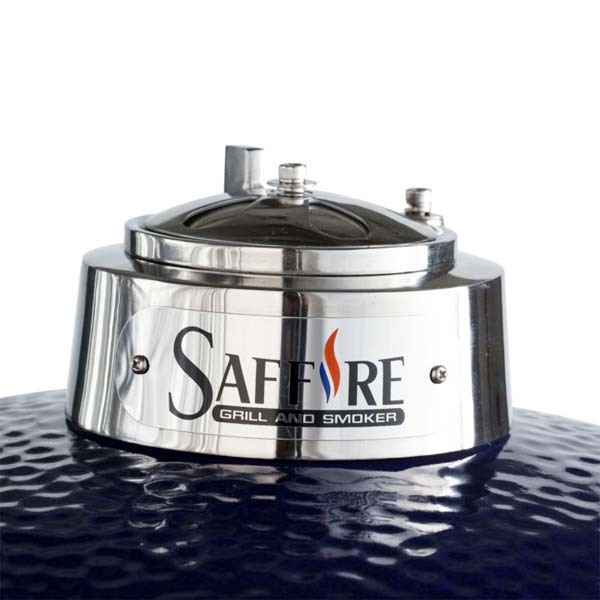 The Saffire Medium 15" Platinum features all 304 stainless steel hardware, along with a 304 stainless steel handle, and a beautiful 304 stainless steel cart. 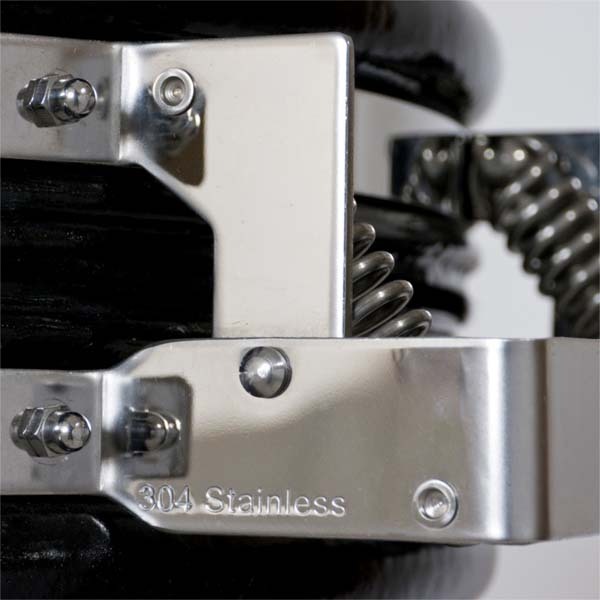 304 Stainless Steel has the advantage of offering superior wear; it is able to withstand the heat better, is easier to keep clean and will sustain its shiny appearance longer. 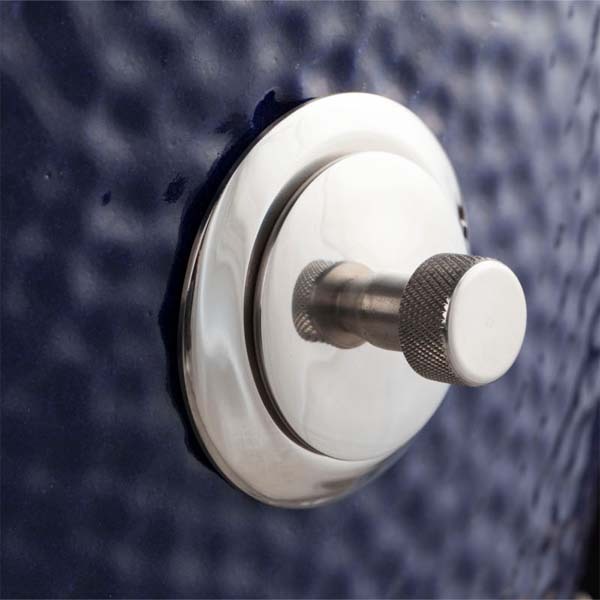 It has an enlarged dome as well as Saffire's amazing patent pending Crucible Firebox. 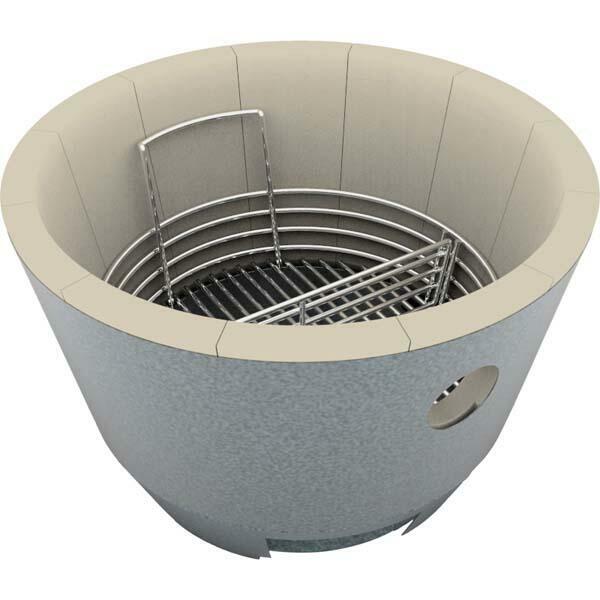 The Crucible Firebox checks structural failure, provides more charcoal and ash capacity, and doubles the grate size, while allowing for a quick and easy start. 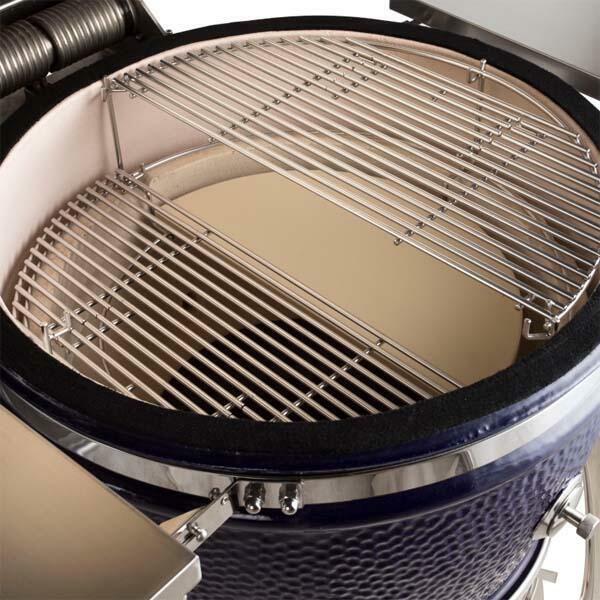 This grill also comes with a pile of fantastic accessories including a multi-level cooking rack, two piece ceramic heat deflector, ash cleaning tool and Saffire's Smokin' Chip Feeder. 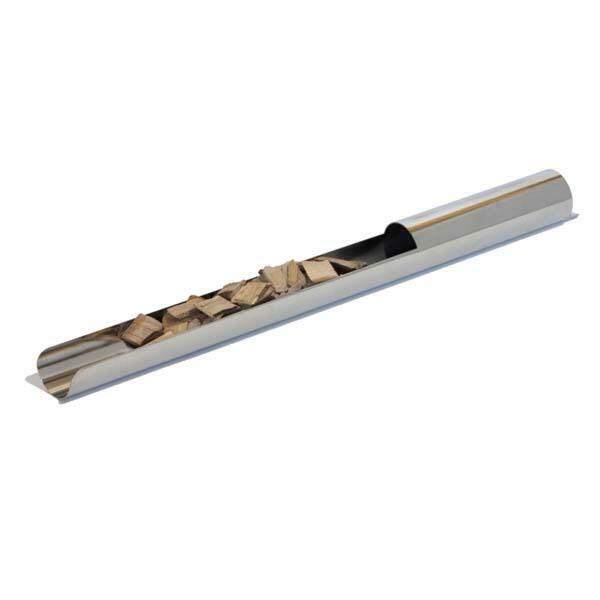 This valuable implement allows you to easily and quickly fine-tune the amount of wood chips in the smoker while it is in use. 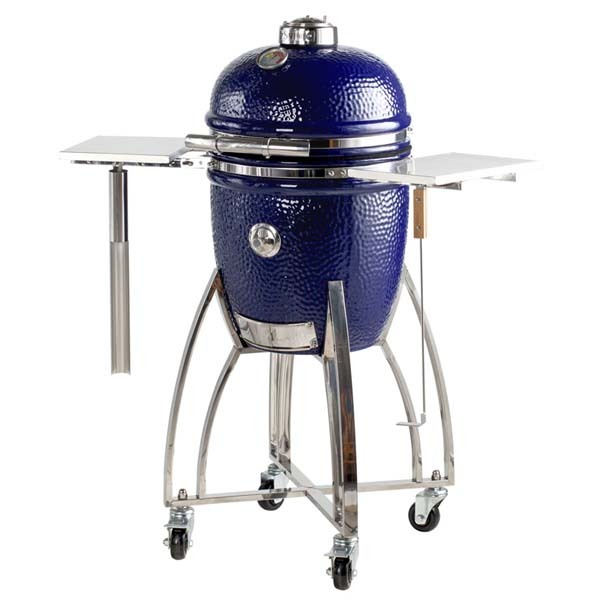 This top seller is available in cobalt blue or classic black, and features a lifetime warranty on the 304 hardware and ceramics!! 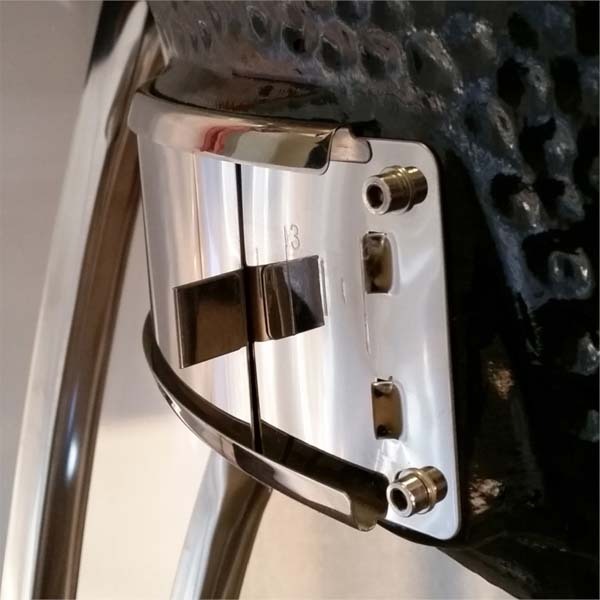 Dimensions L41" x W35" x H45"